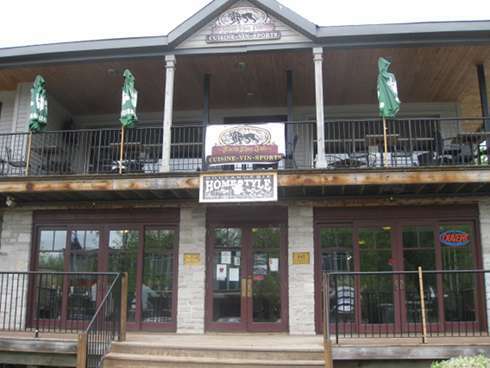 The 411 Homestyle Bakery and Black Lion Pub is a recent brunch addition to the West Island. Situated in Beaconsfield, this lovely Homestyle and Black Lion Pub sounds like it’s a bakery situated in a pub. 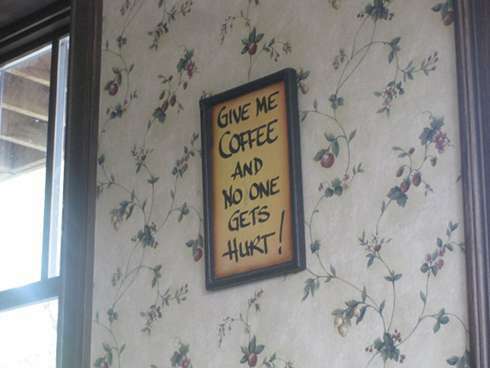 Well it’s not, it’s actually a pub and a bakery sharing the same space. At 1st Glance When you walk in, you see the bakery and café area on the ground floor and then you walk upstairs to the pub. They serve breakfast/brunch all week long except for Monday when they are closed. The interior is wooden and large there is also seating area outside and free parking around. The place has a rather large capacity but can get full. 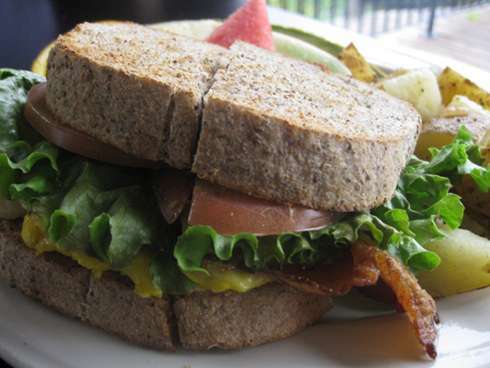 We started off with a breakfast sandwich ($6.58) which has 2 eggs, bacon, lettuce, tomato, cheese and mayo. It came with a side of fries and a generous portion of thickly sliced fruit. The sandwich is filling and well priced, not to mention tasty. 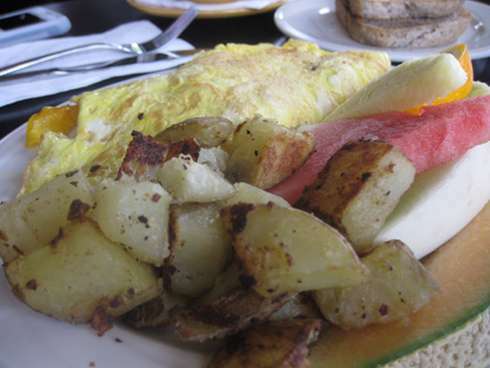 The omelette ($7.68) is much like the breakfast sandwich that also comes with a generous side of potatoes and fruit. You get the choice of either a bacon and cheese omelette or a vegetarian omelette. You get quite a filling plate and a price that is hard to beat. Service Our waitress must have been a superhero because even though they were short staffed that day she managed to check in on us and the rest of the place in a timely manner. She was helpful and pleasant which makes you feel even more relaxed and at home. Vegetarian Most dishes don’t have meat in them and although it is a short menu, you do get some vegetarian options. Wrap up I’m happy that the West Island has a place like this. It’s laid back, filling and inexpensive. I would have liked to see a few more items and leverage from the bakery more by doing a few more complicated dishes, but I am still impressed and happy to see Homestyle Bakery and Black Lion Pub filling bellies out west. Do you have decaf café?